This is a part of the #BlackPantherChallenge created by Fredrick Joesph of Harlem, NY encouraging those across the country to help with students in their communties to see the film, Black Panther, which depicts a positive representation of people of color. We are both comic book lovers and film connoisseurs, so this was a challenge we gladly accepted. We believe it is so important that children, especially children of color, see heroes on the big screen that resemble them. We are not only looking to provide the children with a movie ticket, but a snack as well. This campaign will end on Sunday, February 4th at 11:59 PM. Please donate to our cause. Every little thing helps! We have reached our goal again! We are completely in awe and a thank you is just not enough! We will continue to raise funds until our campaign ends on Sunday, February 4th. The more we raise, the more children can see the film. Again, thanks to everyone for your support! Thanks to all who have donated! We are so thankful for all the support thus far. We have extended the goal to $1500 to now take more students in the Hattiesburg community to see Black Panther on February 17th. 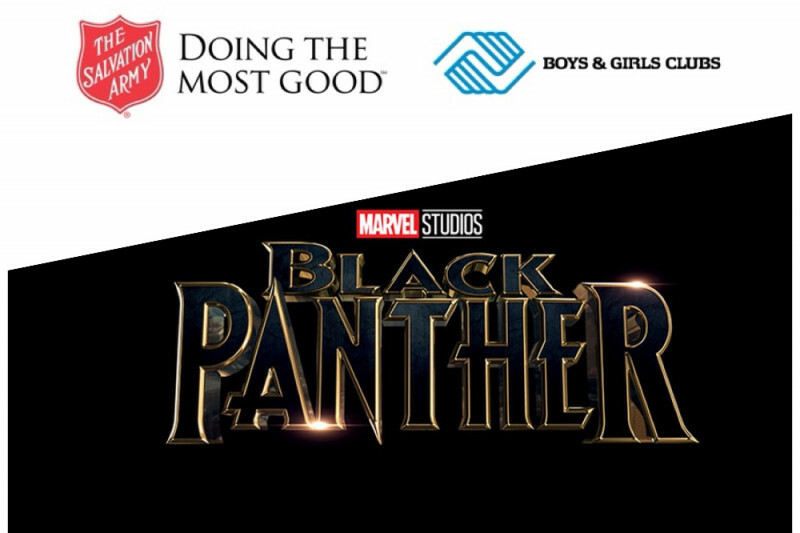 We appreciate you alls support in helping raise money for our youth at the Salvation Army Boys & Girls Club to see Marvel's Film, Black Panther, next month!